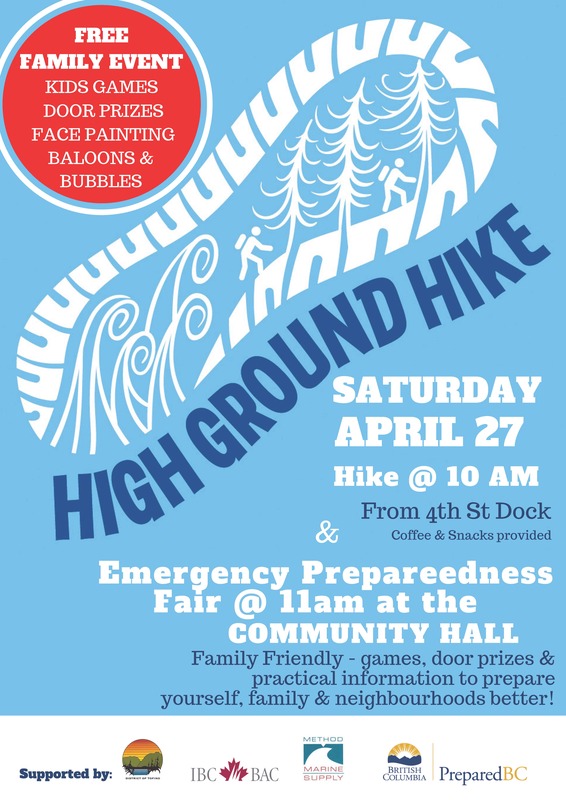 High Ground Hike: 10am at Fourth Street Dock. Coffee & snacks provided. Emergency Preparedness Fair: From 11am at the Community Hall. Food Preservation Demo: 12pm at the Community Hall. Join us for a free Food Preservation demo as part of the Emergency Preparedness Fair.